In the beginning G-d created Rabbi Riskin. And Rabbi Riskin said, “let there be Ohr (Torah).” And he gathered administration, faculty, freshies and sophmores. And he planted them in the Riverdale Jewish Center, eastward of 237th Street. And Rabbi Riskin saw that it was not good that the Mesivta should be alone. And there were brought forth numerous schools: Rogosin, Ramaz, Flatbush, Central, J.E.C., Prospect Park, Breuers and Bais-Yakov. But a helpmate could not be found for the Mesivta. 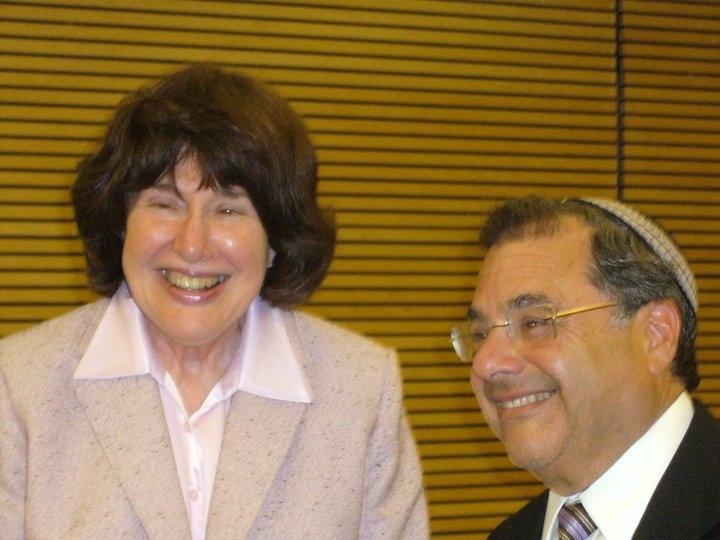 Behold, Rabbi Riskin discovered Mrs. Blau and together they founded Ulpana Ohr-Torah. It was unequaled. It was unparalleled. It was one-of-a-kind. It was unique. After six years of a non-religious Jewish day school and another two years of a religious Jewish junior high I entered the world of the all-girls Yeshiva high school. 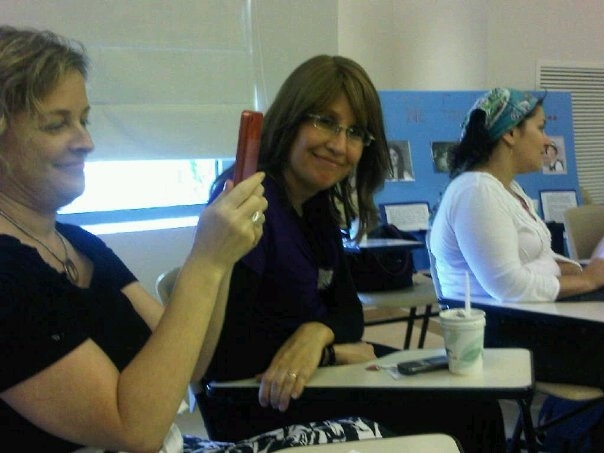 I wasn’t certain what to expect that first day of school, but as we gathered together for shacharit, the morning prayer, Mrs. Blau spoke to our small group (we were about 40 girls altogether in the whole school that year) and told us that as women there was nothing we couldn’t achieve if we set our minds to it. I don’t this Mrs. Blau was a feminist, not in the Gloria Steinem, equal rights sense of the word. We didn’t demand equal rights, we didn’t need equal rights. We just wanted, as I said above, to conquer the world. And thanks to our education, we can, and on some levels, we did. For three and a half years we received one of the most brilliant educations available. We learned gemara with Rabbi Lerner, Hebrew conjugation with Mrs. Gopas and that we could write some decent science fiction with Mrs. Hirschman. 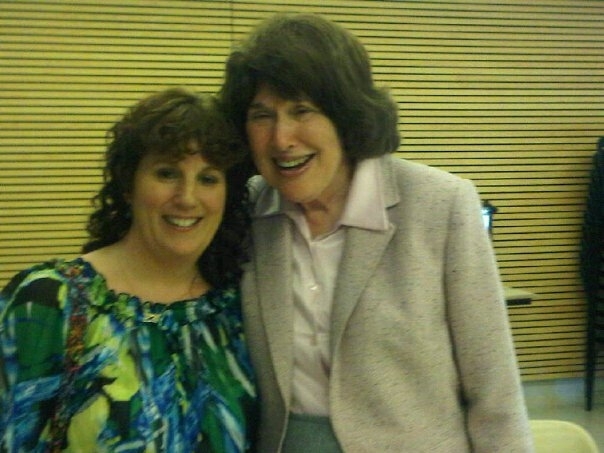 Mrs. Chertoff taught us to dance gym class away, Mrs. Elsant taught us to parlez-vous, Mrs. Novick showed us how pride comes before a fall even when you are the King of Judea, and some of us went on to higher math thanks to Mrs. Vorchheimer. Dr. Grinberg serenaded us with Shakespeare’s sonnets and Rabbi Buchwald made us accountable for every moment we missed of his class. Most of us spent three and a half years at the Ulpana, playing basketball against the faculty, dressing up as characters from the books we read in Mrs. Daube’s class and (some of us) living far from home and our own beds in the dorm. We crocheted kippot in class (okay, that was me), we sang in recited musicals and we all learned that even when the entire class was wearing clogs with Argyle socks, we were each and every one of us unique. 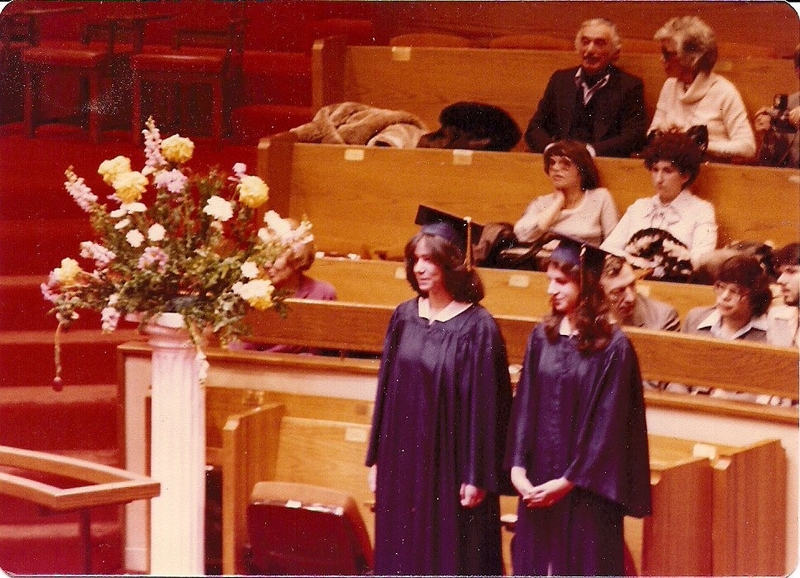 After three and a half years we graduated early and went off to Israel, some of us to keep on studying (that was Karen, Marcy and Carmi from the Class of 1980 picture above), and some of us to pick avocados and experience communal living on a kibbutz (that was me). I think one of the most brilliant portions of the reunion was where we sat in a circle and spoke of how the school effected us throughout our lives. No one really mentioned anything external. There was no braggadacio of who we are professionally. No one boasted of family or career (although we did find out that Carmi is a grandmother). We all spoke of how we took what we had learned and how we had applied it to our lives. I’m not talking about math of physics, I’m talking about the values that the school gave us, whether in class or through osmosis (see? I did learn something in biology!). At the very end I was able to have a conversation with Mrs. Blau (she’s Dr. Blau now, but she will always be Mrs. Blau for me) that I never would have had back in high school. I told her of something that she said to me back in ninth grade English, that sometimes the only way people can perceive you is through your writing, so make sure that you write in the manner that you wish to be perceived. 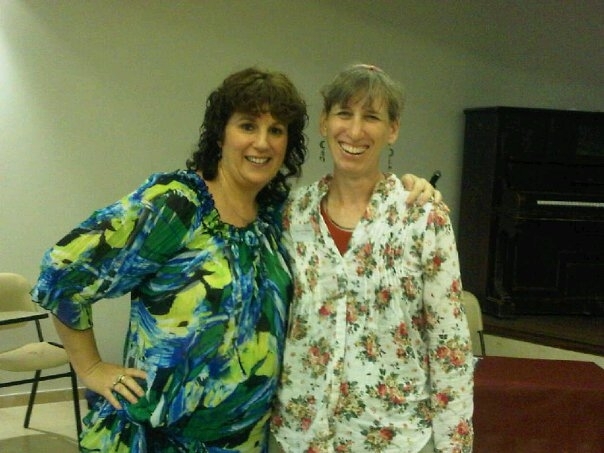 So if one of the reasons you read this blog is because you find my writing entertaining, you have Mrs. Blau to thank. So I started the day excited, but worried about what I would find at my reunion. And what did I find? I found that although some of us were very much changed on the outside (Mrs. Levenson told me I had gained weight, duh! ), on the inside we were still those young women who were taught that we were unstoppable, we could conquer the world, we were unique. 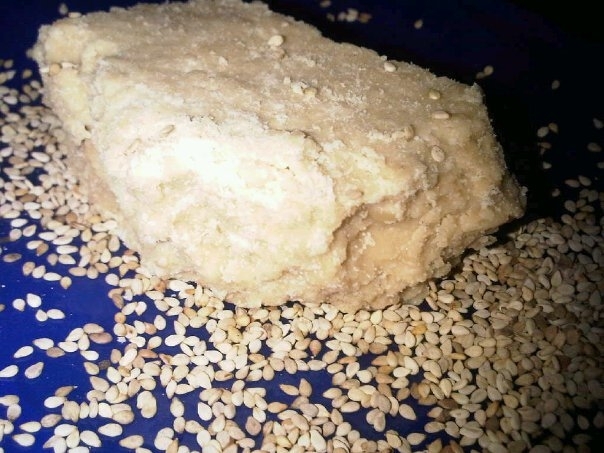 Miriyummy: Thinking about making Carine Goren’s recipe for homemade halva this evening. OMG, you should see the ingredients, oy, the calories! Marcy: will you be bringing goodie bags to the reunion???? Audrey: dang it, if i knew Miriyummy was bringing goodie bags i would have bought a plane ticket! I didn’t bring goodie bags, but there’s plenty left, even one week later. Audrey, if you want to get on the plane, you are most welcome! Place the tahini paste in your mixer bowl and attach the K-beater (or the guitara, as they call it in Israel). Bring the water and sugar to a boil in a small pot, and boil for 7 minutes until it becomes viscous. If you have a sugar thermometer it should reach 121 degrees C (240 degrees F), or the soft ball stage. By the way, did I mention that having a sugar thermometer would really help you out here? Start the mixer going at medium speed and slowly pour the sugar syrup into the tahini, letting it run down the sides of the bowl into the tahini, otherwise it will splash. Add the vanilla and the white chocolate chips. The heat of the sugar syrup will melt the chips. Tip the bowl over into the parchment paper lined pan. Be careful, this could still be hot. With another square of parchment paper press the halvah into the pan until it reaches all the edges and has a nice, flat shape. Let cool. Cut off chunks and enjoy. Keep covered with plastic wrap at room temperature. Don’t even think about the calories. 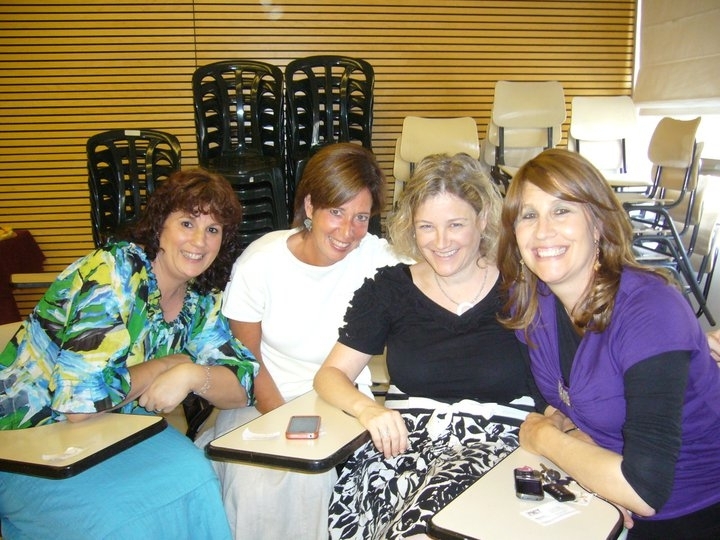 Posted on 30 June 2011, in Carine Goren, Celebrations, Chocolate, Dessert, Jewish cooking, Vegan, Vegetarian and tagged Carine Goren, cooking, dessert, halvah, high school reunion, Jewish Cooking, kosher, Ohr Torah, Rabbi Riskin, recipe, Riverdale, Rivkah Blau, vegan, vegetarian. Bookmark the permalink. 5 Comments. YEAh!!! I made it onto your blog, even if you didn’t create a new and amazing treat in my name (after all you did ask me for suggestions) I love the way you still make me laugh and write and tell it how it is. I knew you would find the food connection, I too LOVE halvah, thanks for the recipe. I was so nervous about going I almost called you to ask you what to wear!!! Who would I talk to , would I know or recognize anyone there? It was so great seeing you there, and you haven’t changed a bit since we rode the Bx17 to Fordham Road! A Halvah recipe! Hurray! The answer to the question that arises every time I walk past the Halvah guys in Machane Yehuda, “Can’t i just make this myself?” Apparently, yes. Thank you! Great story! I graduated from high school one year later. No one could have said this better. I am waiting for your book.